Description: Digitization provided by the USF Libraries Digitization Center. Rare Maps. 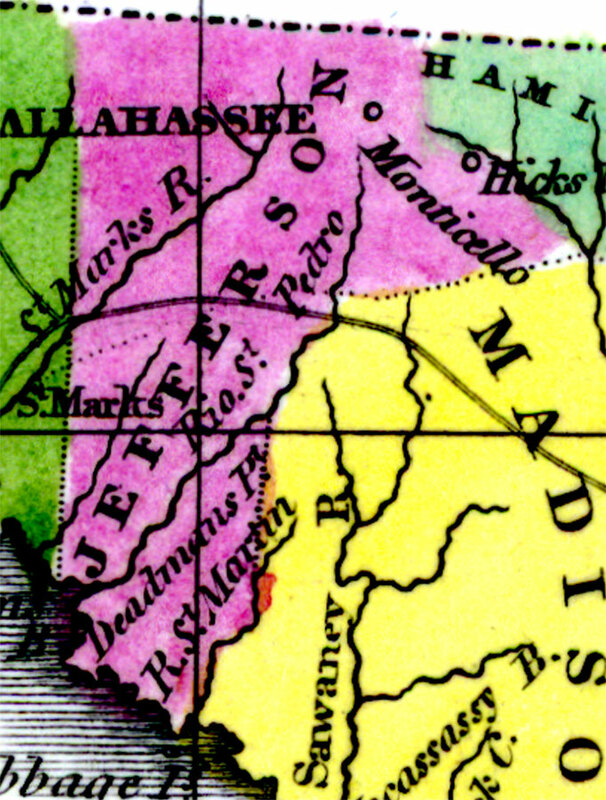 This is a detail map of Jefferson county circa 1834. It shows important cities and towns of the time including Monticello. It also shows inland waters including the St. Marks River.